A number of growers within the medical cannabis industry has a hard time complying with pharmaceutical standards. One of the main reasons is the need to provide clients with a consistent high-quality product, which can be achieved only through respecting the strict regulations that growers are asked to follow. Differently from ‘standard’ greenhouses, like a tomato greenhouse for instance, cannabis cultivation facilities require a better air circulation as the heat coming from lights – either LED or HPS – makes the temperature within growing rooms increasingly hot. The combination of hot air and high levels of humidity is a very dangerous situation as the risk of incurring in plant diseases becomes real. 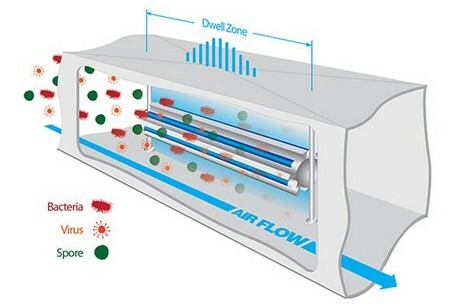 Sanuvox is a company specialized in UV air disinfection that supports growers in keeping the growing room ventilated and, at the same time, keeping the air clean. The company is able to achieve this thanks to their line of products, and especially the S300 unit. This machine is equipped with two different sets of light that destroys the particles that enter it such as bacteria, germs, mold and spores. “The air passes through the pre-filter, then the HEPA filter. Finally, the air is pulled into the Aluminum UV Reaction Chamber thus making it to pass parallel to the UV Lamp, bombarding it with UVC & UVV light, which destroy airborne biological and chemical contaminants”, the company explains. 2019-04-19 “The most important thing is to maintain a very precise climate control throughout the year"
2019-04-18 "Lack of consistency is a major problem within the industry"
2019-04-11 Who will grow commercial cannabis in Missouri? 2019-04-10 "Switching to hydroponics also possible when land doesn't have the proper slope"